A CannaSmack tribe member is someone who understands and supports our company core values of abundance, kindness, happiness, and acceptance. We understand that our growth and success is owed to all our fans who have supported our brand since our launch in April 2015, and our CannaSmack Tribe initiative is a way to give back to the community which continues to support us. Receive Tribe Highlights, FreeTheLeaf Updates, Special Offers, and Exclusive Reward Opportunities, once a month. Add your birthday to receive $5 CannaSmack Cash reward during your birthday month. How much you get involved within the CannaSmack Tribe is entirely up to you. Though, when we notice regular support or a significant act of kindness that goes above and beyond the norm, we might just feel inclined to reward you. Volunteer your time for a good cause for a minimum of 8 hours. Help clean up a beach or your local park. Get Involved! Positively educate others about Hemp. Document your involvement and share it on social media, tag @cannasmack — Make sure you use #CannaSmackTribe on all your content. Send us a DM with a permanent copy of your content & contact email, make sure you save copies, volunteer time cards, donor cards, or anything that helps prove your involvement. Get special offers for exclusive discounts, events, and contests directly to your phone! 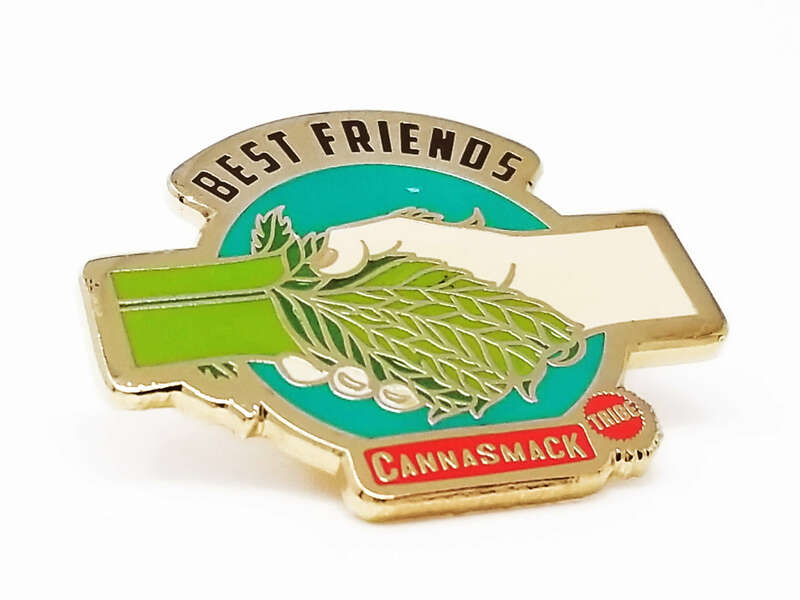 CannaSmack Tribe members can earn a Gold Tribe seat by going beyond engaging with us, via creating content and taking initiative in promoting CannaSmack. Gold Tribe seats have limited availability and include some pretty sweet additional perks. Sneak peek access to new CannaSmack products. Chance to buy new products before anyone else. Chance to earn a Gold Tribe Member Seat for extra perks. Comment on Instagram & FaceBook posts! – We sincerely appreciate reading your thoughtful comments regarding your experience with our products & the humans who represent our brand. Tag Friends in posts to suggest they try some of your favorites! Making thoughtful recommendations, rather than “spamming” posts with tags from random accounts lacking any comment, is much preferred. – Please try to remember to save your story content and send it to us via DM as a Permanent DM rather than a temporary message. This allows us to save and repost! Thank you! — Our website: Browse the site as if you were shopping. Scroll to the bottom of each individual product’s listing and click the reviews tab next to “additional information”. — Facebook: We thoroughly appreciate your feedback in the reviews section on this platform! — Google: Google Plus highlights many places CannaSmack has been featured. — Amazon: Some of our products are even available via Amazon Prime! What was your first experience with the brand? Did you see someone post about it? Did someone gift it to you? Etc. – Brands love hearing how you found out about us so we can put analyze where to put energy into further marketing efforts. What initially drew you to the company? Cool name? Dig the branding? Etc. Share first-person experience with the products! If you’ve actually used (owned or sampled) the products, your feedback regarding the experience you had is super valuable! – What was life like before this product entered your world? If you haven’t tried something: Share your excitement for trying it! Brands love knowing when they’ve made your wishlist. Have you interacted with any humans that represent the brand? Highlight their communication skills and ways any problems were resolved. Does the brand go above and beyond? In what ways have you seen this brand support others/ support the community? Did you learn something? Share what you learned, so others who may be reading your comment can learn something new too! CannaSmack Tribe Members are not directly affiliated or employed by CannaSmack. CannaSmack Tribe Members vow to supports our company core values of abundance, kindness, happiness, and acceptance. *Gold Tribe Seats are limited and must be earned and maintained through engagement and content creation. Every three months we may pick different community members as a way to allow others to shine and acknowledge their contributions. The 50% off coupon codes are one time use and will be locked to your customer account; you may earn a new 50% off coupon code every 6 months. CannaSmack Tribe Members are not “Sales Representatives” they are not allowed to pursue wholesale or distributor accounts; however, if you would like a store to carry our products you may approach them as a consumer and provide them with our contact information (let us know of your interactions, if they contact us and they pick up our products we would love to send you some freebies!). We reserve the right to update and amend our Terms & Conditions at any moment with or with out notice. For the latest version please visit https://cannasmack.com/tribe/. We reserve the right to revoke membership at any moment with or without notice.